The FIT Show was a tremendous success for Ultraframe with the launch of its partnership with Which? 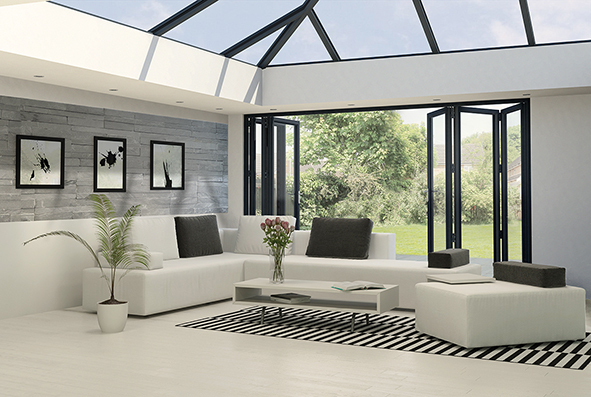 Trusted Traders and the unveiling of the new aluminium orangery roof system UltraSky Roof. Reflecting on the Show, Alex Hewitt, Ultraframe Marketing Director explains why now is a great time to be an Ultra Installer: “We’ve always worked hard to give visitors to the FIT Show a really positive Ultraframe experience, but this year was really exciting for us to be able to showcase our relationship with Which? Trusted Traders and reveal our new roof system – UltraSky Roof. The Which? affiliation is incredibly powerful for our existing Ultra Installers, there’s no question that consumers recognise the power of the Which? brand when it comes to trust, so this gives Ultra Installers another opportunity to differentiate their business in their local market. The timing of this launch couldn’t have been more perfect, we’ve got a few pockets in the UK that need extra Ultra Installers so it was good to use the Show to chat to retailers. “Setting Which? aside, from an innovation perspective, we feel that that is one of the most important years for us and of course, more importantly our retail partners and fabricators. 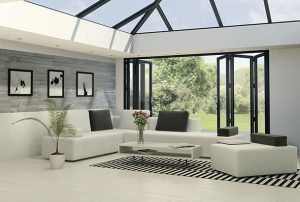 For several years we’ve been focusing our innovation effort on the development of a range of roof systems that enable our retailers to meet the needs of a wide range of extension projects – from a classic conservatory all the way through to a solid roof extension, all sharing the same fast-to-fit attributes installers have come to value. Alongside the roof range, we’ve also developed a range of components that go beyond the roof to make great designs easier for the installer. Whether that’s combining our new UltraSky Roof with Loggia columns and UltraSpan to enable the easy installation of bi-fold doors, or simply combining our flat cornice and our classic roof to deliver a contemporary glass extension, our range reflects both the changing needs of the consumer and critically, the changing needs of retailers. “It was my first FIT Show and it was great to be on the stand to gauge the reaction of visitors first-hand. We have an incredible team of highly talented design engineers at Ultraframe, constantly evolving and improving our roof systems, but this year, the launch of UltraSky Roof really resonated with the people we talked to. “We also acknowledge that many other external factors have shaped our own R&D. For example, enabling installers to limit the use of bricklayers has underpinned the success of Loggia columns. Delivering five times the thermal performance of a brick pier has obvious consumer benefits, but it’s the on-site, speed advantage that makes Loggia work. If we look at UltraSpan – we have a team of structural engineers at Ultraframe that can easily do the calculations and we’ve designed a ‘structural goalpost’ that’s hidden in the UltraSky roof and allows for the use of bi-folds or large spans of glass up to 6.5m. It’s these components combined with our extensive roof range that today, enables our network partners to tackle any job.